The It's A Wonderful Life Webring is a film lovers resource composed of a group of fans obsessed, entranced, thrilled by, or just plain in love with IAWL. Our pages are wholesome tributes to the classic movie and those involved with it. The IWL Webring is a special Webring for the most special of Movies! The It's A Wonderful Life Webring is composed of a group of fans obsessed, entranced, thrilled by, or just plain 'in love with the movie', "It's A Wonderful Life". Our pages are wholesome tributes to the classic movie and those involved with it. We have no connection to any official entity involved with IAWL. The IAWL Webring was started on December 9th, 1997 to pay rtribute to the film. The movie It's A Wonderful Life is one of a very few classics fills which can fill a theater even when it is shown over fifty years after it was released. Though usually thought of as a Christmas movie, it is far, far more. The messages which IAWL conveys  that of hope, responsibility to others, personal responsibility, and traditional values  makes IAWL not only a rich movie, but a indeed a cultural experience. 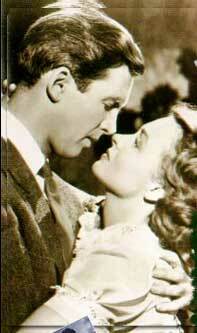 The Its A Wonderful Life Webring is dedicated to bringing you the finest sites on the web which are dedicated to IAWL. Our members include IAWL fans, movie critics, and just people who love this timeless film. We are also very pleased that one of the original actors in IAWL maintains a website on this ring! The members and management of this webring are simply a group of fans who love this great motion picture. 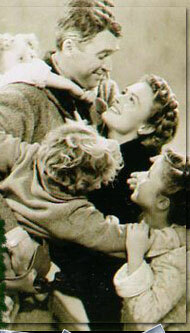 We do not have any connection whatsoever to Republic Pictures, Jimmy Stewart, Donna Reed, Liberty Films, or any other person, group or commercial entity involved with the production, distribution, advertising, or any other official function of making or distributing this fine film. All trademarks, servicemarks, copyrights and other rights remain the property of the companies, corporations, studios, and entities involved. 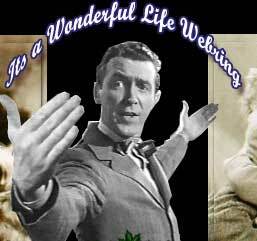 Want to become a member of It's A Wonderful Life Webring? If you use any portion of this site you must agree to what is on the legal page. Last update to this IWL IAWL page was made on: June 19, 2007.
by MemorablePlaces Consulting All Rights Reserved Worldwide.